Let’s look at the iPhone. 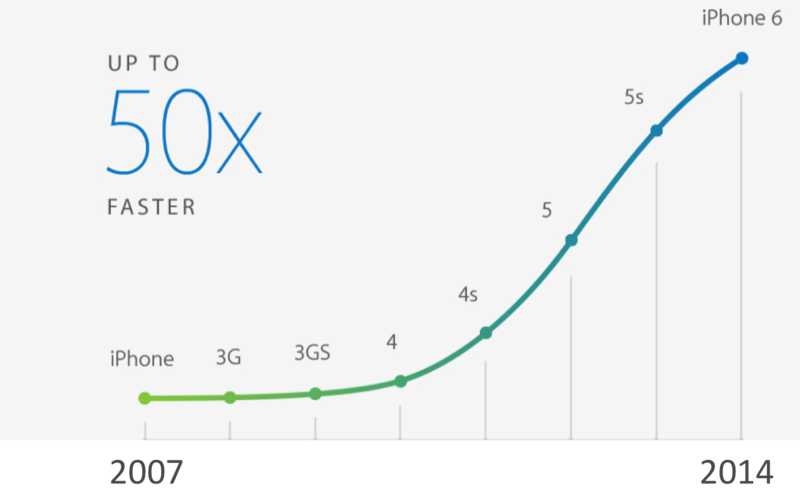 Since the first release in 2007 to the release of the iPhone6 last year, according to Apple, speed has increased 50x. Most independent reports say this is more or less correct. 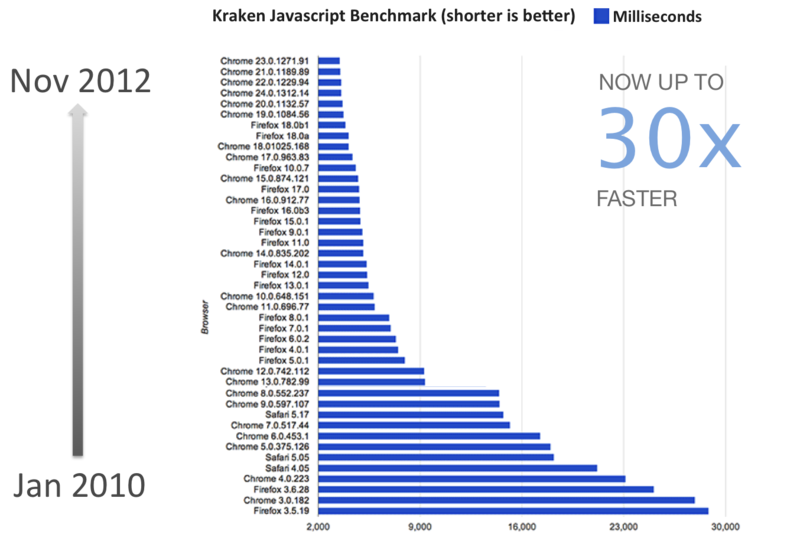 If we consider just this improvement, something that used to take 15 second would now take 0.3 seconds. Just that alone makes a huge difference. These two improvements however are additive. They collectively provide an overall speed improvement of 1500x. To put that in perspective, if something used to take an unacceptable 15 seconds back in 2007, it would now take a delightful 0.01 seconds. Do you still want to create a desktop application, then rewrite for iOS and again for Android?